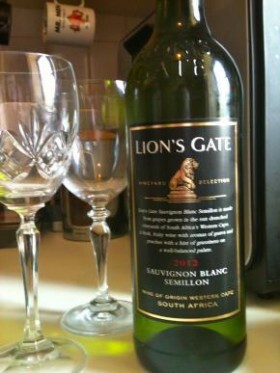 This Sauvignon Blanc came from Tesco’s again in the half price offers, I paid £4.49 for it. I love a glass of chilled white wine at any time of day, this wine is best described as elegant, nothing about it says plonk! From the western cape of South Africa the wine makes you think of sunny beaches and eating peaches, it is gently sweet and very well balanced, it is as good as some that I have paid a lot more for. This wine is excellent with fish, chicken, pastas and it is sharp enough to put with Chinese food. Tags: Chinese food, Sauvignon Blanc, South Africa, sunny beaches .